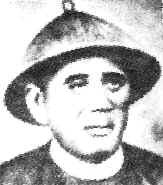 As Kapitan Cina, Yap Ah Loy had the powers of a typical Malay chief, including the power of life and death over his followers. He could make laws when deemed necessary, but he did not have the right to collect tax. He lived in good terms with the Malay communities and their leaders in and around Kuala Lumpur, of which the Dato' Dagang was the most important of the chiefs. Late 1890s, prominent Towkays of Kuala Lumpur with Qing dynasty officials. Front row from right: Loke Chow Kit, Chan Sow Lian, Loke Yew and Yap Kwan Seng. Group photograph taken in Kuala Lumpur in 1884. Front row (L to R): Yap Ah Shak, unidentified, Dr Sinclair, Raja Laut, J.P. Rodger (British Resident Selangor), Yap Ah Loy, unidentified, Captain Syers (Police Chief, Selangor). Yap Ah Loy probably administered through the leading Mine employers and clan or secret society headmen; usually the same individuals were both the employers and the headmen. Yap Ah Loy's right-hand man was Yap Ah Shak, who was now the head of the Hai San society in Selangor and the largest mine owner after Yap Ah Loy. Yap Ah Loy acquired a reputation for thoroughness in the treatment of criminals and other troublemakers. He built a prison large enough to accommodate 60 people, and drew up detailed rules for punishing all offenders. These offenses were graded carefully, with maximum penalties for repeat offenders. For a first offense, a thief was paraded through the streets with the stolen good tied to his back and shoulders; for a second offense, an ear was cut off; and for a third he was executed. The execution was not performed by hanging or beheading, the offender was made to kneel with his hands tied behind his back, and a sword was plunged through his throat by the executioner. On the other hand, minor offenders were more usually locked up before their trial. The punishments seemed severe, but they had a good effect on discouraging crime. Yap Ah Loy's strict policies proved to be successful. In the months following his appointment, thieving became unknown. It was said that "no man dared stoop to pick up even which he had dropped on the road." Pirates no longer raided the boats moving down the river and the loads of tin reached the river mouth safely.As a result, he effectively kept peace amongst 10,000 Chinese with only a token force of six police. Both Yap Ah Loy and Yap Ah Shak sat as magistrates to in minor cases. It was said that they acted as magistrates and mediated disputes amongst the people at a corner of Yap Ah Loy's Chinese medicine shop, Chop Tuck Sang. Until 1878, serious cases were tried in Klang, but between 1878 and 1880, the Resident and a magistrate came to Kuala Lumpur monthly to hold the High Court and the Magistrates' Court. "As the confidence of his countrymen in Capitan Ah Loy is great, if not implicit, so is his stake in the country superior to that of all others, and from this fact I conclude that the government may rely upon him to use his influence for law and order, and that his past loyalty and successful administration of the District entrusted to him would seem to entitle him to consideration and a careful hearing of his views on matters affecting the well-being of the Chinese population in general and in Kuala Lumpur in particular." Chew Yeok, Yap Ah Loy's chief assistant and in-law. Yap Ah Loy's biggest contribution to Kuala Lumpur was probably his success in establishing Kuala Lumpur as the centre for commerce in Selangor. This success was to eventually compel the Selangor Government to relocate the state capital from Klang to Kuala Lumpur. In time, Kuala Lumpur was to become the national capital for the newly independent nation of Malaysia in 1957. Yap Ah Loy was not ahead of his times as a municipal administrator. In 1882, Swettenham and his colleagues described the streets of Kuala Lumpur as only 12 feet wide and were "all but impassable alleys. ..... The filth of the market is indescribable, everything that rots or becomes putrid, all offal and refuse is thrown on to the ground or into ditches which surround the shed. ..... The refuse of the drains is simply removed therefrom and laid on the side of the road ..... small pox, cholera and fevers break out here very often." The Meeting of the first Selangor State Council. His fire precaution consisted of an order that every household keep a barrel full of water ready at all times. On 4 January 1881, the entire town was burnt down, with a loss estimated at $100,000 of which Yap Ah Loy's shouldered the largest share of it. After the disastrous fire of 1881, Yap Ah Loy started a brickworks at the outskirts of town to rebuild town buildings in brick or adobe with tile roofs. The brickworks is now gone, but nevertheless had left its mark with the an outskirt of today's Kuala Lumpur known as Brickfields. The first row of brick shop houses in Kuala Lumpur, on the edge of Market Square, built by Yap Ah Loy in 1884. Yap Ah Loy's road construction in and around Kuala Lumpur were more exemplary. The main mining areas were linked up with the town, and streets were laid out in the town. Yap Ah Loy told Swettenham that $20,000 had been devoted to road works, in the more ambitious constructions, each mile of road was estimated to cost $1,500. In return for these projects, Yap Ah Loy was compensated with the permanent titles to the land he occupied in the centre of Kuala Lumpur. Junction of Petaling Street and High Street. The tracks to the mines are preserved to this day in the form of Jalan Ampang, Jalan Pudu, Jalan Petaling and etc. The modern passers-by who walk along these roads can be sure that they are following the footsteps of heavily laden porters who threaded these paths some 130 years ago. Yap Ah Loy also started a tapioca mill in Petaling Road with an imported 8 horsepower engine. This venture in which Sultan Abdul Samad had a $3,000 stake in the tapioca plantation, fell apart due to the fall in price of tapioca during 1880. The present Jalan Petaling (or Petaling Road as it was known then) has remained to this day been known to local Chinese as Chee Cheong Gai (or Tapioca Mill Road). Yap Ah Loy also founded a refuge at which the sick could have food and shelter. It was maintained by a levy of $1 per pig slaughtered. He took a big part in founding the first Chinese school in Kuala Lumpur and provided the school a schoolmaster until the Government brought in one from Singapore. The school was opened on Chinese New Year in 1884 in High Street. The Chinese towkays were known to take an active interest in the school, by visiting the school to test the pupils in reading and writing. Malaysian Road Names: Who's Who? There will always be a fidiot driver like this! !